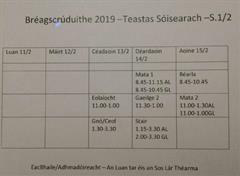 Oíche Eolais do thuismitheoirí agus do dhaltaí na chéad bhliana a bheas ag freastal ar an Scoil Lúnasa 2018/19. Information night for parents and new pupils enrolled for August 2018. Céadaoin 30 Bealtaine 7.00 i.n. Is cruinniú eolais é seo maidir le polasaithe scoile, idir éide scoile, tréadchúram, cúrsaí smachta, obair bhaile, riail na Gaeilge, cumhdach Leanaí srl. 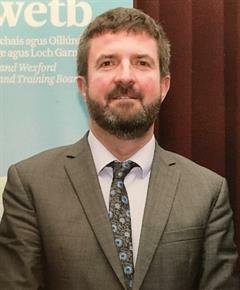 Tá sé riachtanach go mbeidh an dalta agus tuismitheoir nó caomhnóir i láthair ar an oíche. This is an information meeting regarding school policies, uniform, pastoral care, discipline, homework, Riail na Gaeilge, Child Protection and other important aspects of the school. It is essential that the pupil and a parent or guardian be present on the night.